If Steve Ballmer Ran Apple – Most view Steve Ballmer’s tenure at Microsoft as a mixed bag: increased revenue and profits, but multiple missed opportunities. I argue these results are intertwined. The Deal That Makes No Sense – Because this blog is a hobby, I rarely have the time to jump on a story as it breaks. This, written about Microsoft’s acquisition of Nokia, was an exception. Jony Ive is Not a Graphic Designer – A short piece with an extended Jony quote and my predictions for the as-yet-unannounced iOS 7. Why Microsoft’s Reorganization Is a Bad Idea – Microsoft reorganized itself from a product-based company to a functionally-organized one. While the move makes sense in theory, I don’t think it fits at all with the reality of today’s Microsoft. Whither Liberal Arts – I was tremendously disappointed in the story Apple told – or, more accurately, failed to tell – about the iPad in its fall event. (The conclusions here are in marked contrast to the 6th most popular post, Tim Cook is a Great CEO). What Clayton Christensen Got Wrong – While I’m a believer in the idea of new market disruption, I believe that modular disruption is not inevitable, particularly in consumer markets. 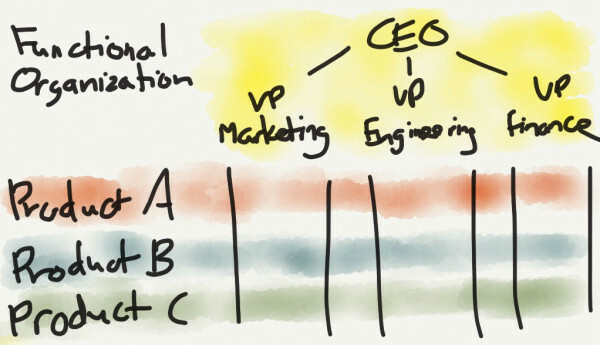 The Uncanny Value of a Functional Organization – This was the second article I wrote about Microsoft’s reorganization, and while it got fewer page views, I think this one is better. It’s also where I first introduced the “Uncanny Valley” framework. 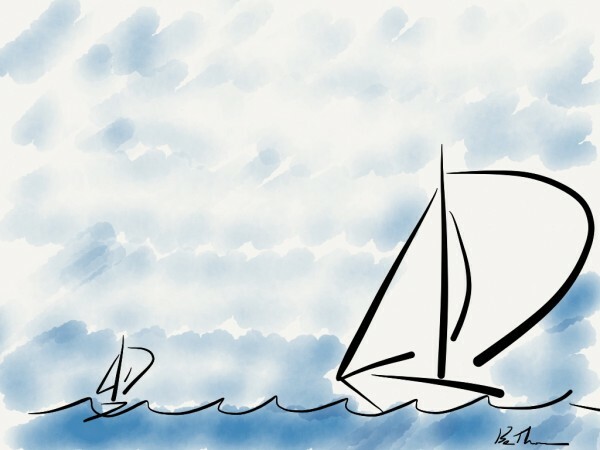 The iPad and the Disaggregation of Computing – The iPad isn’t replacing the general-purpose PC. Rather, it’s increasing the specialization of computing devices. Also see The Humpty-Dumpty PC and The (Alleged) 13-Inch iPad and the Triumph of Thin Clients. The Android Detour – Android is a means to an end for Google, not a central focus of their business. It’s interesting how much less controversial this idea has become in the seven months since I wrote this. Also see Understanding Google. 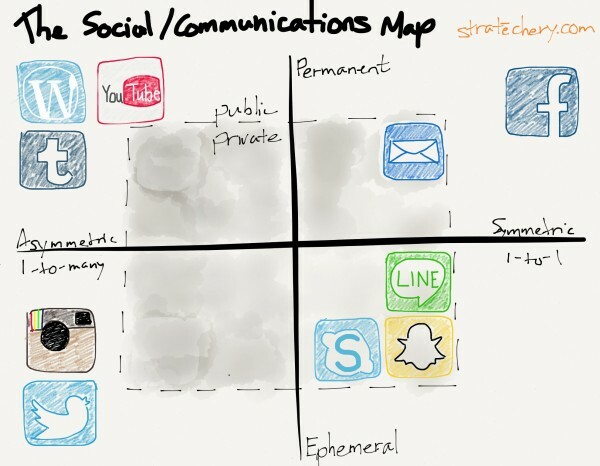 The Multitudes of Social and The Social/Communications Map – On the impact of mobile on social, and the reality that no one service can ever monopolize relationships. Apple the Black Swan – Wall Street doesn’t understand Apple, because it bases its business on qualities that can’t be measured. The Intel Opportunity – Intel has a new CEO, who is facing a similar situation to that faced by Andy Grove when he becamse CEO in the 1980s. Friction – The Internet is removing friction from everything it touches, but that’s not always a good thing. The Magical iPad – The iPad is a truly unique device, able to transform into whatever you wish it to be. 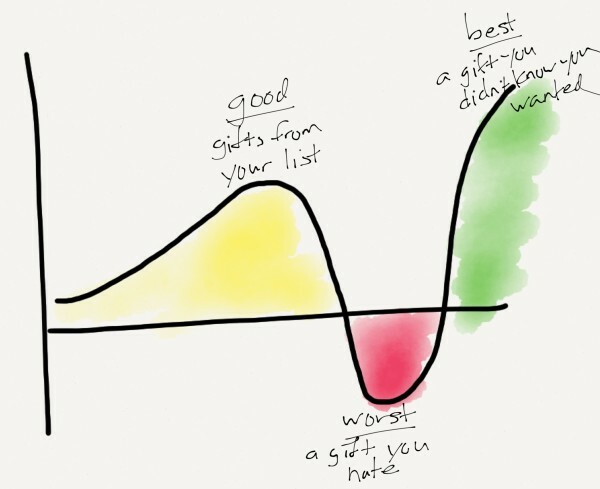 Christmas Gifts and the Meaning of Design – Christmas gifts are a great analogy for understanding the difference between traditional market research and design thinking. Happy New Year. I’m looking forward to a great 2014.